"Man shall not live by bread alone but by every word that proceeds out of the mouth of God." Thank you for visiting our website. 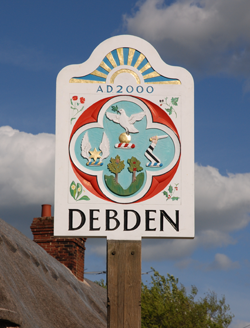 We offer you a very warm welcome as you find out more about our activities in the delightful village of Debden. We hope you will come and visit us as we praise, worship and seek to spread the good news of our Lord Jesus Christ in the village and surrounding area. We believe that Jesus is alive today and working in our lives as we put our trust in him. These pages will give you a taste of the things that are going on, but if you want to know more please drop in to one of our services or contact us and we will be pleased to try and answer any questions you may have. Our church is located in the village of Debden which is near to Saffron Walden in Essex. To find us follow this link to Streetmap.